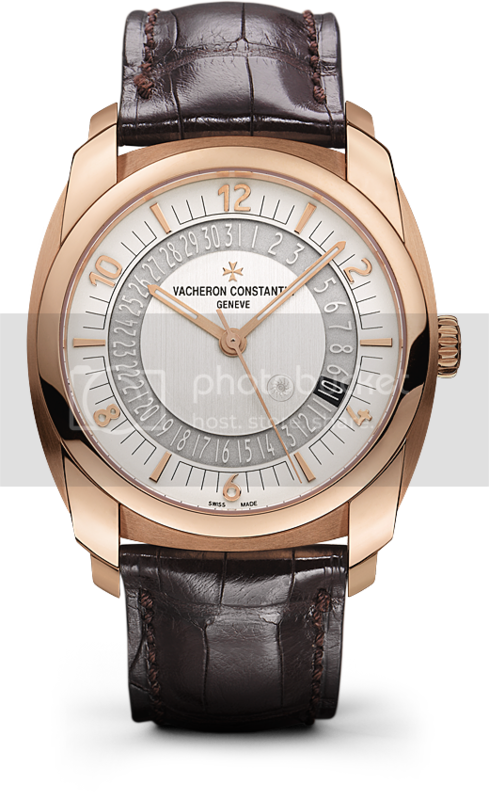 I was poking about the Vacheron Constantin website this morning and noticed a couple of interesting omissions from the on-line catalogue. Gone from the site are all but one reference in the Quai de L'Ile line. The lone remaining piece is the simple three-hander with date and the solid dial in pink gold (specifically Reference: 86050/000R-I0P29). All the regular production (non-personalized) open-dial models were discontinued 2-3 years ago, I believe. The Quai de L'Ile Configurator page is still up and running on the web site, so it looks as if one can still design a customized model for oneself choosing from among the solid and open dial references and from among the several complications and metals. I wonder what plans VC has for this line. Also, I noticed that there is no longer an Overseas Chronograph Perpetual Calendar (ref 49020). I am not sure when this disappeared from the web site as it remained in the print catalog for 2014-2105 (as did at least 4 other Quai de L'Ile models that are now gone). I am curious about the fate of caliber 1136 QP, which was the automatic perpetual calendar chronograph caliber powering the Overseas Chronograph Perpetual Calendar model. I know Vacheron Constantin has made clear its intentions to equip its watches entirely with in-house movements, and the Overseas line-up is due for a re-launch (maybe in 2016 to mark 20th Anniversary of the Overseas?). 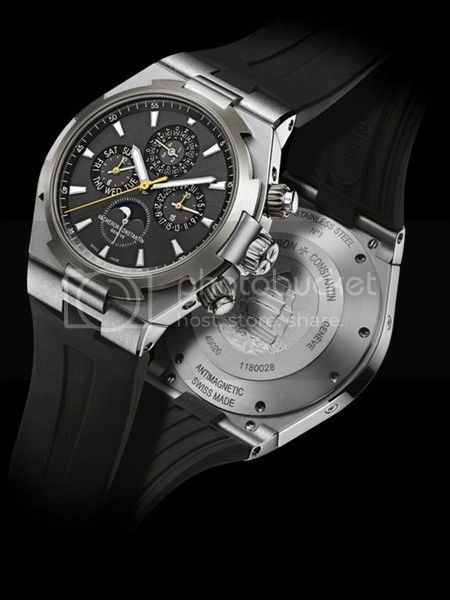 Will we see a new automatic chronograph perpetual movement soon? Previous Topic: Any questions to VC ?